One of South Africa’s most celebrated architecture studios has designed a High Line Park for Cape Town. Winning the Re-Imagine Cape Town design competition with this bold proposal, Tsai Design envisions transforming the city’s infamous unfinished highway overlooking the bustling downtown area into a public park, renewable energy generating station and a Museum of City Planning and Transportation. The same firm behind the colorful Visserhoek Shipping Container school, Tsai Design is constantly at the forefront of sustainable design. And it’s going to take a firm with this kind of vision to finally do something about the incomplete Eastern Boulevard Freeway that has stood unfinished for four decades! Unlike New York’s High Line Park, this road leads to nowhere and is flanked by a network of roads that would make green space unrealistic. 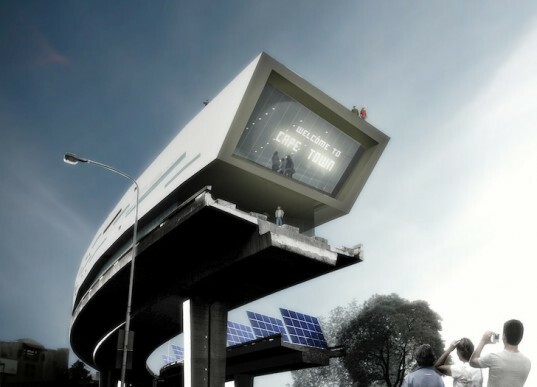 Instead Tsai Design recommends converting the disused space into a public viewing platform that overlooks Cape Town’s many outdoor performances. Additionally, a Museum of City Planning and Transport would be perfectly sited here given the soaring views of ongoing urban developments. Lastly, solar panels and wind turbines could be installed to generate renewable energy to boost an ailing grid. It’s not yet certain whether this winning proposal will come to pass, but certainly it would transform one of the city’s most embarrassing landmarks into an iconic space to make locals proud. One of South Africa's most celebrated architecture studios has designed a High Line Park for Cape Town. 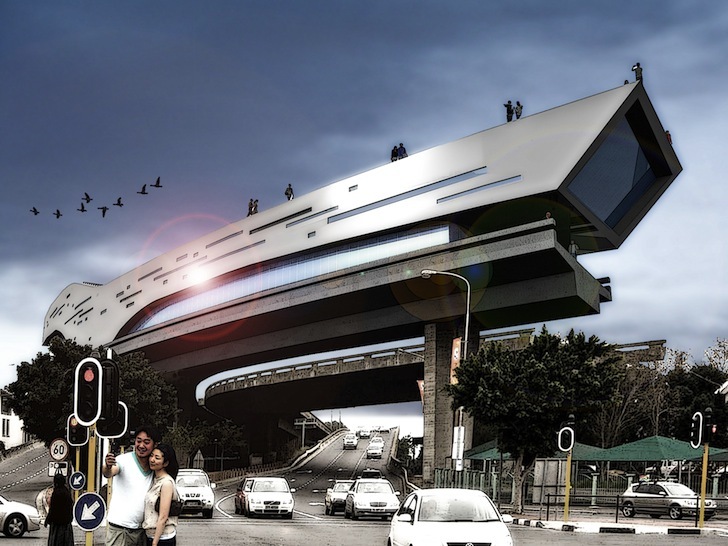 Winning the Re-Imagine Cape Town design competition with this bold proposal, Tsai Design envisions transforming the city's infamous unfinished highway overlooking the bustling downtown area into a public park, renewable energy generating station and a Museum of City Planning and Transportation.